Happy Friday everyone! Hope you had a lovely week! We’re excited that we don’t have anything going on this weekend, but yucky weather and being quarantined will likely keep us inside. More on the quarantine in a bit! 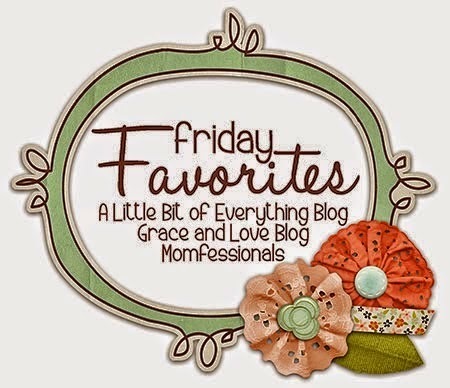 I’m linking up today with some lovely ladies to share my Friday Five! I’m so excited that this past week I finally got a few of my favorite things from summer collection. Probably the deal of the century is the Essie Top. It’s knit. It’s a fabulous print and it’s only $58. That’s a deal! I’m in debate mode about the Brewster Dress as I’ve heard it runs small. I may take my chances though! Speaking of fun colors, have you seen the Essie summer colors? I was lucky enough to pick up one of the Lilly for Target bottles last week called Pansy and it’s so pretty! I’ll likely be taking that to my next mani/pedi next week for the wedding. I’m picky when it comes to polish, and OPI and Essie are my go to’s. My favorite neutral is Sugar Daddy or Ballet Slippers. Do you have a favorite? Not gonna lie, I rarely get frappucinos when I go to the ‘Bucks. I’m an iced grande nonfat 2 raw sugar latte kinda gal. But, I’m intrigued by these minis. I stumbled upon the Mocha Lite Frap a couple of weeks ago and it’s superb. Low on the calories (as far as a frap is concerned). I haven’t gotten the guts to try out the s’mores one quite yet (hello 500 calories). We’ll get there. 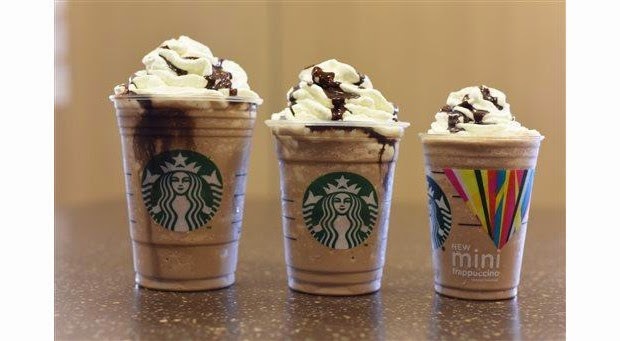 What is your favorite frap? Miss H is really into techo house music. I know, don’t ask. Every time this song comes on she starts dancing in her seat. SO CUTE. I thought you could use a dance in your seat too! And here is to a speedy recovery to my sweet Miss H. The last few days she hasn’t been on her game and I thought it may have been ears. 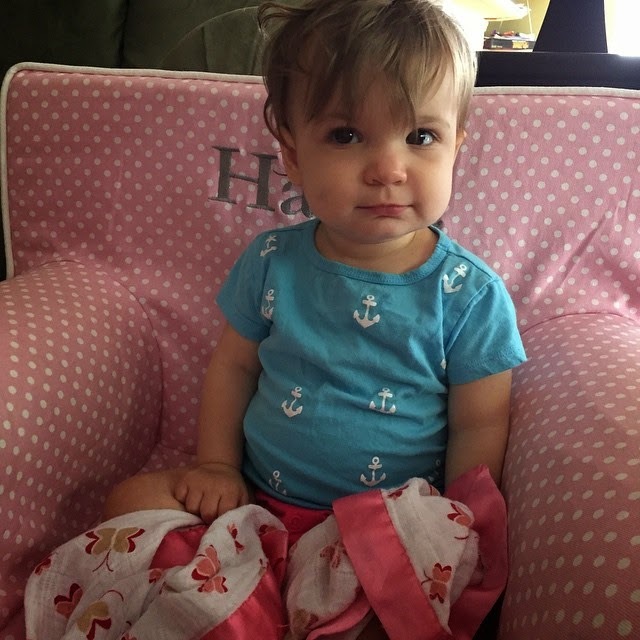 I took her to see the doctor yesterday and turns out to be Hand Foot and Mouth Disease. Um -what? Don’t research it on google. You feel like your child is a barn yard animal and FOR THE LOVE don’t look at google images. Luckily, she just has ulcers in the back of her throat and it hasn’t spread anywhere yet, but we’re on the look out. Since it’s a virus, all we can do is give her ibuprofen to manage her pain and fever. I feel so helpless since we can’t do anything for her! We’re quarantined until she is feeling better too which means we may have to miss her friend’s birthday party on Saturday. We’ll see! But even with that sweet little face (and bruise on her cheek from the coffee table), she’s still a pretty happy girl. Here is to a speedy recovery, lady bug! Oh I hope she feels better! Poor baby, did she pick it up at daycare? A lot of our friend's babies picked it up from there. I hear it can be rough on them. HOpe she gets better soon. Poor Hattie – I hope she feels better! Hope Hattie feels better soon! Feel better H!! You should totally go for the Brewster dress!! Essie Bubble Bath is my all time favorite! I had never heard of the minis! That looks awesome. I'm a grande girl. Is the mini smaller than the tall? If so could be perfect for when the kiddos are BEGGING for a beverage. The kids at our school get hand/foot/mouth disease at least once a year. Not too bad to manage and fortunately it goes away fairly quickly. My advice too, don't look on the web, like everything, makes it seem toxic! linking from Friday Favorites. I'm in need of a mani/pedi and those colors are so cute! I hope Miss H felt better quick!